The Memphis Tilth, GrowMemphis Community Garden Program helps communities build gardens to improve access to locally grown food in their neighborhoods. We envision a community with full access to affordable, fresh, locally, and sustainably grown food. Everyone can grow their own food, share knowledge of sustainable growing practices, support urban and rural farmers, and cultivate community. 1. GrowMemphis helps communities build gardens to improve access to locally grown food in their neighborhoods through a growing network of more than 55 gardens in 15 zip codes in the City of Memphis, envisioning neighborhoods with full access to affordable, fresh, locally, and sustainably grown food. In 2001, Alcine Arnett, a member of the Board of Directors of the Mid-South Peace and Justice Center, proposed to start a community garden in the Orange Mound neighborhood where she lived. Ms. Arnett was concerned by the growing rift between neighborhood youth and senior citizens. Young people had little respect for their elders, and seniors lived in increasing fear of young people. The generations had become estranged. Ms. Arnett saw the garden as a way to reconnect the youth and seniors by capitalizing on the experience and gardening know-how of the older generation, and the energy and enthusiasm of the younger generation. Through the the Orange Mound Community Garden, the Mid-South Peace and Justice Center was able to demonstrate the transformative power that urban and community gardening can have for neighborhoods. They began looking for ways to replicate the successes of the Orange Mound Community Garden on a greater scale. GrowMemphis was founded as a project of the Mid-South Peace and Justice Center in 2007 with community gardening projects in Hollywood-Springdale and South Memphis joining the one in Orange Mound. These organic community gardens would provide a source of healthy food in neighborhoods, turning vacant lots into thriving centers of community. In 2012 The Food Advisory Council for Memphis and Shelby County was formalized and continues to operate under the leadership of GrowMemphis. Since then, GrowMemphis has expanded by leaps and bounds to include new partner garden projects throughout Memphis, and currently has 52 member garden projects. 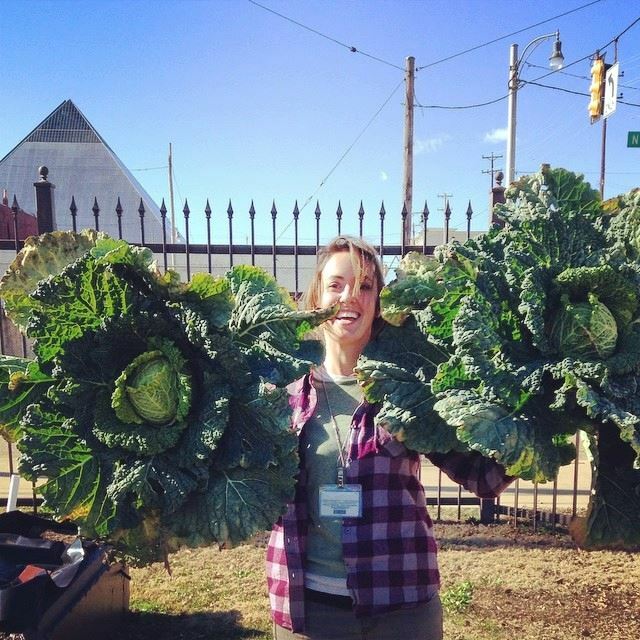 While expanding the number of community gardens, GrowMemphis was also expanding in scope. In early 2010, GrowMemphis began convening a working group for the formation of a food policy council for Memphis and Shelby County. In January 2012, due to increased demand for community gardens as well as a need to expand food policy initiatives, GrowMemphis became an independent non-profit. In June 2016, GrowMemphis officially dissolved as a nonprofit to become a program of the larger food systems nonprofit, Memphis Tilth. All current GrowMemphis staff, gardens, and program initiatives remain and continue to grow under Memphis Tilth. GrowMemphis community gardens are found in neighborhoods, schools, and places of worship all over the city of Memphis. Every year GrowMemphis provides start-up funding and training to neighborhood residents who wish to create and sustain gardens. These gardens eliminate blighted property, produce fresh healthy food, and provide opportunities for community building. Each garden is as unique as the neighborhood in which it is found. GrowMemphis’ goal is to help new gardeners identify their most important needs and to provide the training and resources to help gardeners realize their vision. Collaborative services such as volunteer coordination, farmers market sales, in-kind donations of tools and supplies (when available), and more. Applications must be submitted to the Garden Program Manager, via email, mail, or hand delivered, and received by the first week in January. Demonstration of Need – Priority is given to projects serving low-income, food-insecure communities. Groups should be able to describe the specific need of their neighborhood. The purpose and goals of the project should reflect that specific neighborhood need. GrowMemphis also prioritizes starting gardens in neighborhoods in which we are not already working. Likelihood of Success – Groups should be able to demonstrate that the project has leadership from the community it intends to serve. Groups should also have a plan to sustain the project in the long term; sufficient community and volunteer support; and appropriate support and/or permission from a sponsoring agency or land owner (GrowMemphis is able to advise on land access questions). The most important factor in success of new gardens is participation from within the community that gardens intend to serve. Memphis Tilth will not be awarding funds to new community gardens in 2018. We are taking the year to consider the need, interest, and funding strategy for developing new community gardens. Please feel free to request an application for us to keep on file for future consideration and access our Resources page for information on starting a new garden. Below is a list of resources for you to get educated about what’s in your food, and how to grow your own food. We would love for you to take this information and start a community garden in your area. Contact us for help or more information. Great resources for testing your potential/existing garden soil or compost. Environmental Testing & Consulting Inc.